Stage, Reenactment, and Renaissance Faire Costumes! Mercy! What masquing stuff is here?! A Tudor Christmas - NEW! Pirates of the High Seas! 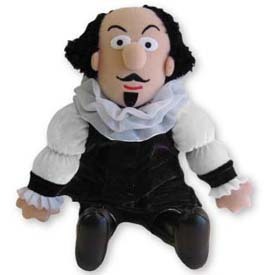 Let this 11" plush Shakespeare come home with you and be your muse.